With the start of the 2016 school year just around the corner, the TenMarks team is hard at work finalizing new features for TenMarks Math. 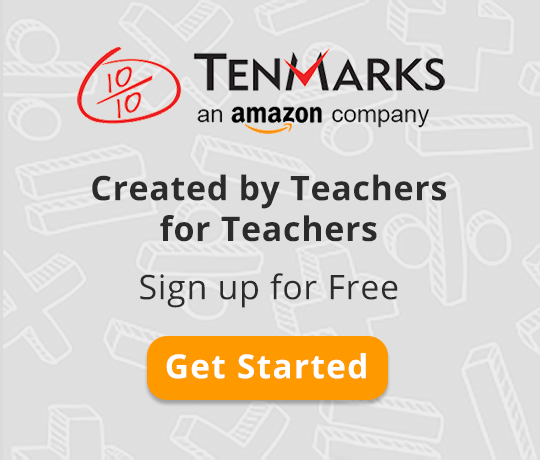 TenMarks Math new features include enhancements to support student engagement and increase access for all learners. Since students are still hard at work on assignments this summer, you'll notice these new features in your TenMarks Math account once your 2015-16 classes have been archived. We’re excited to announce these new updates, designed to better support teachers and students this school year. TenMarks has always sought to make our technology more accessible by allowing students to demonstrate their knowledge in multiple formats and providing differentiated supports in the form of hints, videos, text to speech, and Amplifiers -- our real-time intervention tools. We are excited to expand access to our content to native Spanish speakers. We believe that each Spanish version of our assignments and student-facing pages provides an authentic and accurate translation of the entire student experience. We are thrilled to improve accessibility of TenMarks for native Spanish speakers and to more accurately measure their math proficiency. Student facing content is now available in Spanish for grades 1-6 for the Common Core and Texas curricula. It is a well-known fact confirmed repeatedly by research that students who are more engaged with their learning have better academic outcomes then their disengaged peers. Engaged students show greater levels of ownership over their learning, perseverance through difficult tasks, and beliefs that effort, not innate ability, is what determines their academic success. For these reasons, we’re excited about updates to the student experience that seek to deepen student engagement. We’ve made some significant updates to the way students monitor their performance, including new, prominently placed monsters, which allow students to track the grade level work they have completed and gain new levels by achieving 80% or more on an assignment. To encourage effort and provide students with multiple opportunities to demonstrate mastery, we have added messages that prompt students to access hints and other supports when they answer a question inaccurately and premium students get a second try on a question that they missed. To provide students with the appropriate level of challenge, we have implemented new Jam Session badges, which not only mark students' performance as they master skills, but also encourage them to access additional skills after they have demonstrated mastery in a particular skill. TenMarks Grade-Level Assessments (GLAs) have always been a great way for educators to monitor student performance and identify areas for remediation and acceleration. For back-to-school, we’ve updated our GLAs to make them more targeted while maintaining the same level of rigor and coverage of the major works for the grade. Overall, we have reduced the number of questions on the TenMarks GLAs and have included new, technologically enhanced items (TEIs) that are more informative than traditional answer types. Whereas traditional answer types, like multiple choice, allow an informed student to eliminate options and improve their chances of getting a question right, TEI answer types ask students to demonstrate their understanding of a concept by completing a task with more interactivity. For example, a first grade student may be asked to sort trapezoids from rectangles. To do this, the student must know not only about the properties of each figure, but also about how they differ from one another and then actively sort them into different categories or groups. As a result, the new TEIs have allowed us to reduce the number of questions on our assessments while maintaining the same standards coverage and rigor that TenMarks assessments are known for. We’re excited about these updates to TenMarks Math and look forward to hearing your feedback as you explore these brand-new features! As a reminder, these features will show up in your TenMarks Math account once your 2015-16 classes have been archived. Are you looking forward to any one of these new released features this school year? Share with us in the comments section below or in our Facebook or Twitter communities.